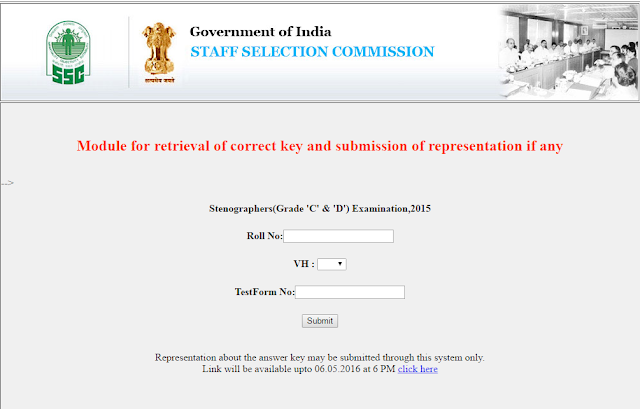 Stenographers (Grade ‘C’ & ‘D’) Examination, 2015 was held on 31-1-2016. The answer keys for the said Examination are being uploaded on the Website of the Commission: ssc.nic.in. Candidates may go through the answer keys corresponding to their booklet serial number and submit representations, if any, on-line, by 6.00PM on 06-5-2016. Representations received after the due date will not be entertained.